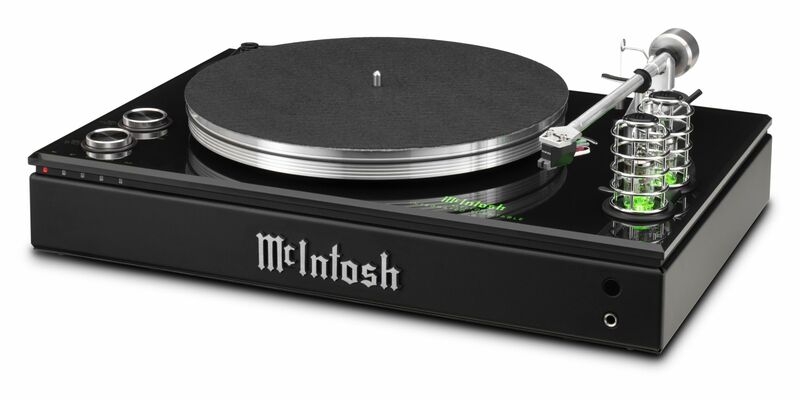 At first glance, the new McIntosh MTI100 Integrated Turntable may look like it’s just a turntable, but a closer look will reveal that it is in fact so much more. Truly a one-of-a-kind product, it is designed for those who want maximum flexibility in their home audio system but don’t want – or don’t have the space for – a large audio system. With all the built-in connectivity the MTI100 offers, it can become the center piece of a modern home audio system for modern lifestyles. Simply add speakers and you’ll have a complete and comprehensive audio system. Besides the turntable that plays both 33-1/3 and 45 rpm records, the MTI100 also includes a power amplifier, a vacuum tube preamplifier, a shielded phono preamplifier, an unbalanced auxiliary input, digital coaxial and optical inputs, a Bluetooth receiver, a subwoofer output, stereo speaker outputs, and a headphone jack for personal listening. Available shortly on demonstration. For further details and to book your audition please call 01202 911886.